Aikido of Berkeley is located in the heart of Berkeley at 1514 University Avenue. 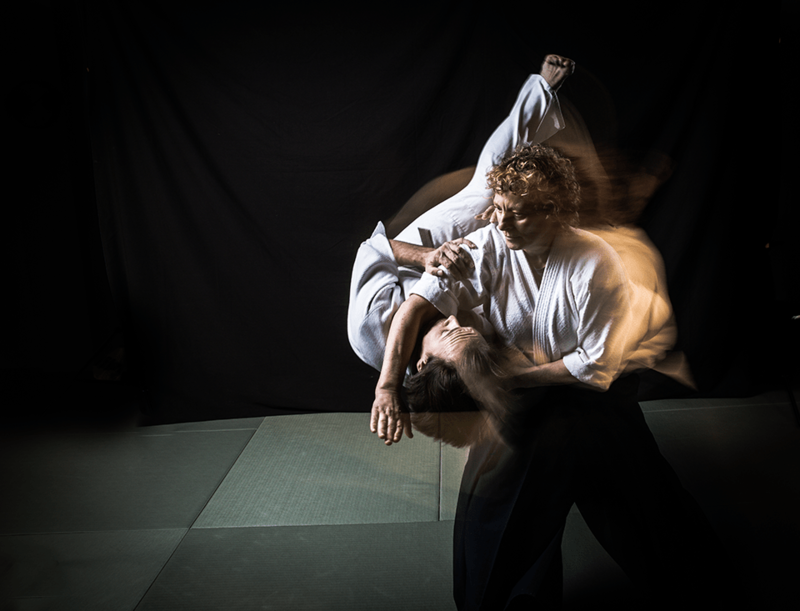 Aikido is a martial art that emphasizes blending with your attacker to resolve conflict non-violently. In the words of its founder, “There are no contests in the Art of Peace. A true warrior is invincible because he or she contests with nothing.” Aikido of Berkeley offers classes for adults and children ages 5 and up. Founder and owner, Kayla Feder Sensei, 6th dan, began training in 1973 at the age of 9 and opened her first school in 1981.